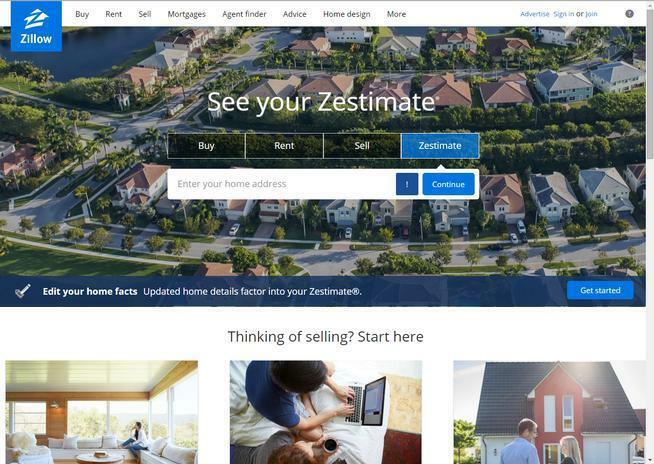 Since its launch in 2006, Zillow has taken heat over its Zestimates. Many homeowners have complained that the company’s automated home valuations don’t accurately reflect the true value of their homes. A formal complaint was also filed with the Federal Trade Commission alleging Zillow is misleading consumers about the accuracy of its data. In fact Zillow was recently sued by a homeowner over the inaccurate Zestimate of her home. 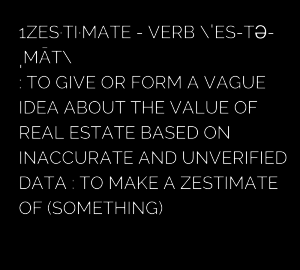 Zillow has always claimed that Zestimates are estimates of market value and are a starting point to determining a home’s value, however, they don’t exactly make this clear (as evidenced by the video advertisement above) and in most instances the average consumer has no idea how these home value estimates are determined, or their margin of error. As you can imagine, running data on approximately 100 million homes in tens of thousands of ZIP codes is very complex and while the company has made continuous efforts to improve the Zestimate algorithm over the years, including publishing what they claim to be the Zestimate margin of error for major cities, these Zestimates of value will always fall short. The key problem with Zillow’s algorithm is it only considers very basic information such as number of bedrooms and baths, square footage (as a range), etc. Zillow fails to take into consideration other important factors which contribute to the value of a home, for example: the specific neighborhood in which the home is located, lot size, the overall condition and age of the home, amenities and level of finish (does your home offer hardwood floors, an extensive outdoor living space, a finished lower level, or perhaps a media room? Did the comparables? Zillow doesn’t know. ), upgrades and improvements, floor plan and room flow, location within the community, views, privacy, age of the home’s major components and systems such as the roof and HVAC System (and for that matter how many systems, the type (gas, electric, geothermal), etc. Quite simply, Zillow incorrectly assumes that your neighbor’s home, and any home in close proximity is truly a comparable property. The aforementioned factors have been referred to as unzillowables and these important data points are critical components in the assessment of real estate values. Zillow’s Zestimates pull data from “public data for house attributes”. The problem with this is many of the sources for this data don’t update these records very often, or worse, only report a small percentage of the residential closings in their area. In order to provide accurate valuations that are averages, it’s generally a good idea to have a representative sample and this case that means statistics on as many similar homes as possible. If the data being used to derive the average is inaccurate, then the average will be inaccurate as well. If it were this easy to evaluate a home’s value every county auditor in the country would adopt this inexpensive system and would seek to maximize the accuracy of their records in order to maximize their county’s tax revenues. Instead county auditor’s rely on the same sources utilized by astute homeowners, that is recent home sales data and licensed appraisers. Another issue with the sales data Zillow uses is that there are some aspects of a sale that are often not included in the data provided by the county. One of the most significant is whether there was a monetary “seller concession” in the sale. Examples of seller concessions include the seller agreeing to pay a percentage of the buyer’s closing costs (often as much as 3-6% of the sales price) and/or an allowance paid at closing from the seller to the buyer for repairs such as a carpet allowance. This can skew the actual sales price by thousands or even tens of thousands of dollars. We can take a look at Zillow’s reported data accuracy for the Columbus and Central Ohio area as provided by their site. As of October 2017, they report a median error margin of 4.5% between a Zillow Zestimate and the actual selling price of the homes in their system in Franklin County. A more telling number may be that only 54.1% of the homes with estimates sold within 5% of their Zestimate. Only 74.4% of the homes sold within 5% of the Zestimate. Those are not very encouraging statistics if you’re looking for accuracy. Need more proof, see the image below which is a screen shot from Zillow’s website. All in all, Zillow is a fantastic site filled with valuable data, but as Zillow says, its Zestimates are simply a good starting point to determining your home’s value. For a full estimate of value, with all angles covered, it is always safer to contact a Realtor or licensed appraiser. Are you thinking of selling your home? You should know exactly what it’s worth before making such an important decision.